Help! My cat is a peeing everywhere! One of the things humans and cats can agree on is that going to the toilet is VERY important - even if we might not like to talk about it! It’s even more important to talk about if your cat is weeing EVERYWHERE - and that’s not just because of the stinky smell! While it’s normal for cats to mark their territory, a kitty that’s doing too many wee-wees could be trying to tell you something is wrong. So to help you understand what it could mean if your puss has started peeing too much, we’ve put together this handy list of what might be causing their toilet troubles. 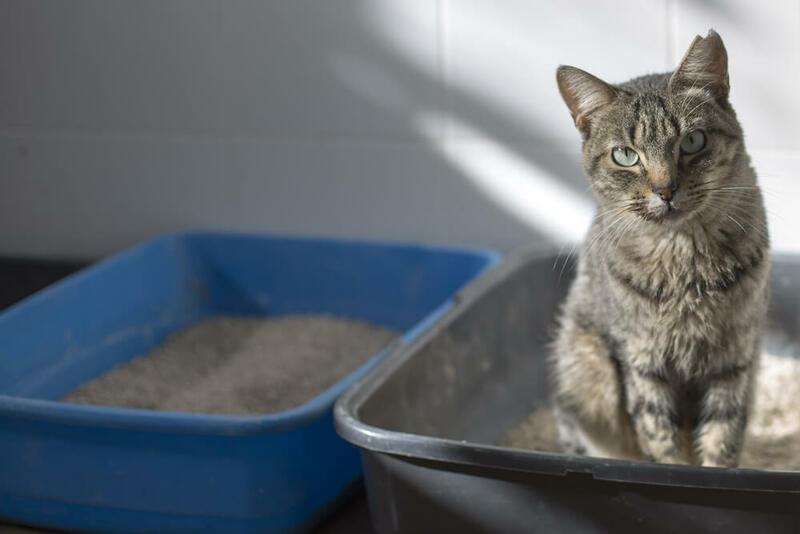 Everyone likes to feel comfortable when they go to the loo, and it could be that your kitty’s litter box is putting them off from using it - either because it’s too near their food and water, too difficult to access, or not being cleaned regularly enough. Imagine if your toilet was filthy, and in a difficult-to-reach place where you had to climb over and under furniture to reach it. So make sure your cat’s litter box is always easily accessible, far away from their food and water, and that you’re scooping at least once every day and cleaning it weekly! When your cat marks a spot with wee, make sure you clean it up properly or they may return to the scene of the crime. The smell is what makes them return for a repeat performance in the same area - that’s why it’s called marking their territory! 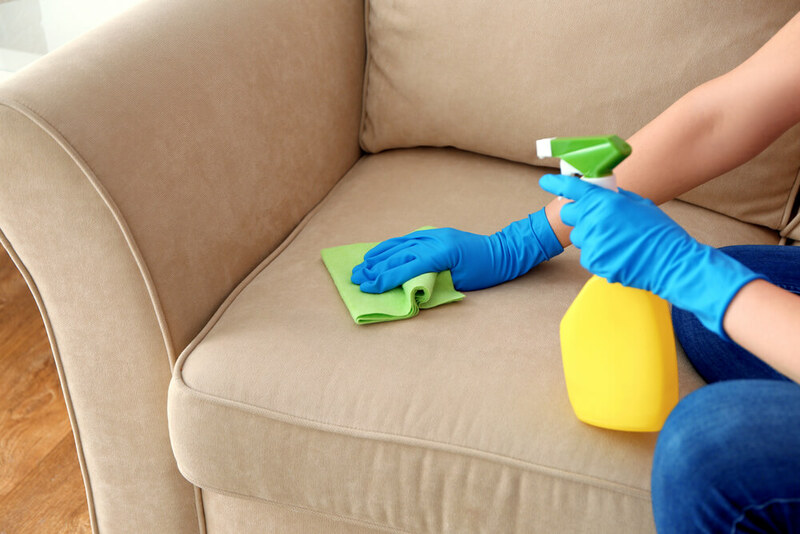 Make sure you’re not using an ammonia-based cleaner or bleach to remove the pee - these smells could tempt your kitty back again and all that cleaning will have been for nothing! It could be that your cat isn’t entirely happy, or is stressed out about something! Even humans can need the toilet a lot when they get nervous. 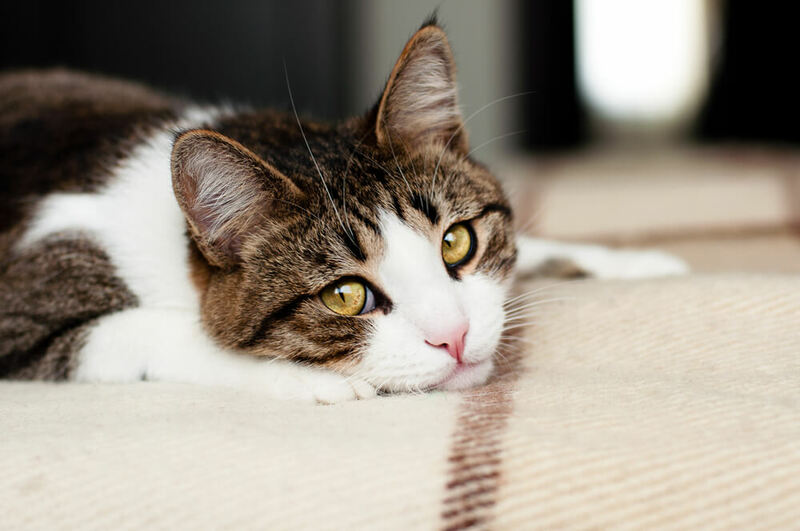 Your kitty could be worried about change in the household, which could be something as minor as a new decorating choice, or something bigger like a new addition to the family. Or, they might not be happy that their routine has changed - maybe their litter box has been moved recently, or there has been a recent visitor to the house? If this is the case, then don’t worry - FELIWAY CLASSIC is here to help with its “happy messages” that comfort your cat and reassure them everything’s ok. See below for more detailed tips. 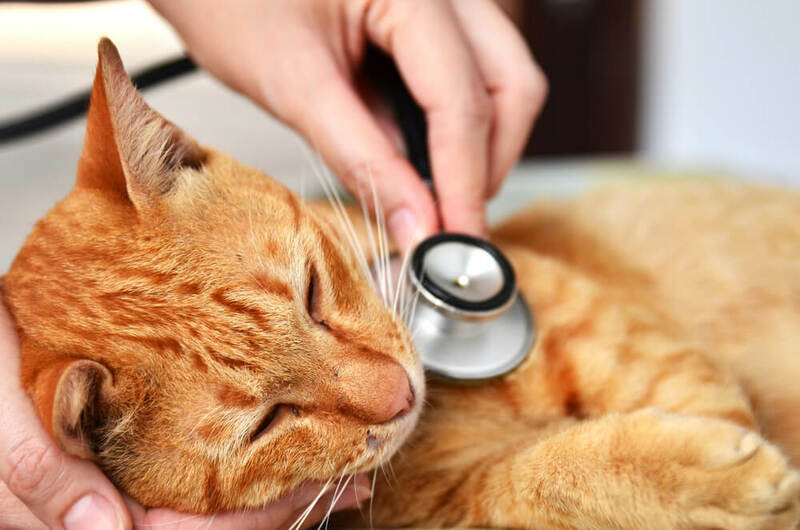 It’s always a good idea to check with your vet if your kitty is doing anything out of the ordinary - the reason your cat is weeing everywhere could be down to health issues! Once you’ve ruled this out you can pay closer attention to figuring out if anything has changed in their environments or routines to upset them. Do you have more than one cat in your home? And, if so, do you have enough litter boxes to keep them all happy? Competition from other cats could mean one kitty might not want to pass through an area containing another puss they have conflict with. You know when you're at work and there's only one loo and someone is already in it, you've walked all that way from your desk and now you have to wait to pee! It's the worst! This is how your cat will feel if they have to share only one litter tray. 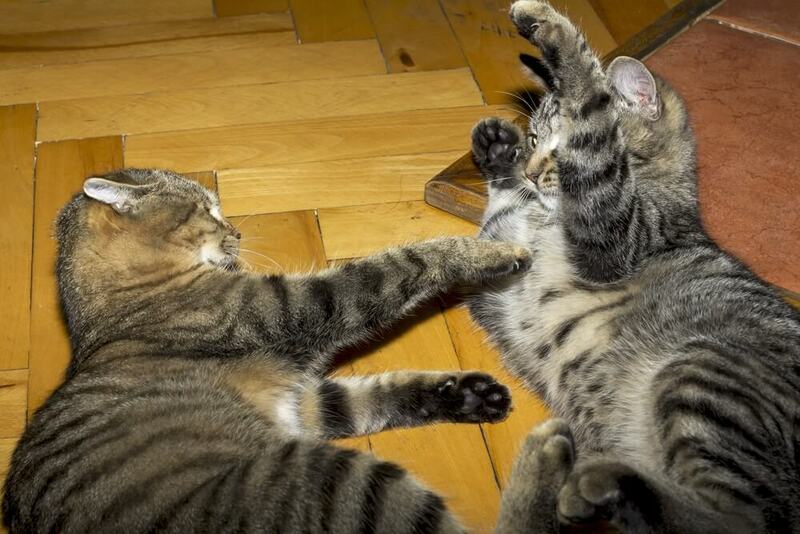 So make sure you have one litter box per cat - and one extra in case one of the others becomes an area of conflict! The good news is that FELIWAY CLASSIC is clinically proven to stop urine spraying! If the weeing is happening in just one area, make sure you use FELIWAY CLASSIC Spray on that area at least once daily. But if your cat has multiple pee-spots across the home, use the FELIWAY CLASSIC Diffuser in the room where kitty spends more their time where the peeing is occurring. FELIWAY “happy messages” make your cat feel comfortable in the home again, and you should see a dramatic reduction in their toilet troubles within seven days!